Now that construction on the new Raiders stadium in Las Vegas has begun, football fans are already starting to envision themselves going to Vegas with an eye towards the game as part of the whole package. Because of the reasonable price of condos here compared to the bay area, buyers wanting a destination residence at one of the highrises on the strip has seen a definite uptick. One of the beneficiaries is the "condotels" on the strip. Vegas hotel prices can vary widely during the year, from incredibly cheap to enormously expensive, depending upon events, special weekends, or conventions, and the Raiders games will add to that price swing. Having your own condo available when you want it is a big pull, along with the ability to easily put it in the hotel pool when you won't be there. The Signature at the MGM Grand is one of our most popular condo hotel choices because of its prime location on the strip and affiliation with the MGM hotel. And even better, the Los Vegas Monorail recently announced that the light rail just outside of the Signature is being extended to the Mandalay Bay, so you'll have an easy way to get to the game without walking. The median price of condos at the Signature has risen to $445 per square foot in the first quarter of 2018 from $383 per square foot in 2017. 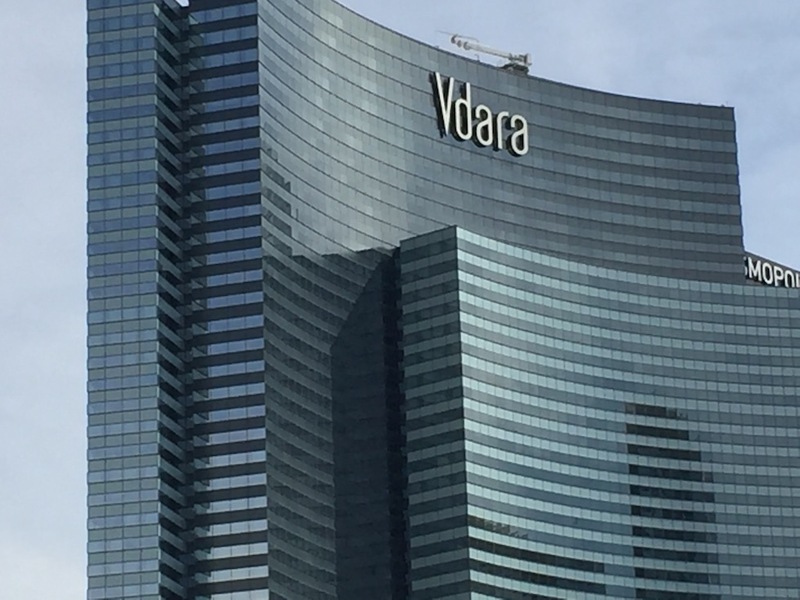 The Vdara condo hotel is another option in City Center, a quick light rail ride to Mandalay Bay, across from the stadium. The Raiders move to Las Vegas will most likely benefit the South Strip condos as well, either directly with second home buyers or indirectly with an increase in jobs that may lure renters and buyers to the southern area. A contemporary condo develpment worth a look is the cool Loft 5, with two story loft style condos overlooking the central pool and garden areas. If you want to go high-rise, One Las Vegas, just south if the 215 is a resort style development with a 6800 square foot health club and spa. The south strip condo communities are not within walking distance of the stadium, but there will most likely be plenty of transit options to make the 2 mile distance doable without having to park there. All the Las Vegas Strip condos are a good choice for those who want easy access to the entertainment, shopping and dining the strip brings as well as being close to the Raiders. We're looking forward to this great boost to the Las Vegas economy! We are condo experts and can help you with a search and purchase here. ONE Las Vegas is a village of residential lifestyle condominiums in the south strip. The 19.5-acre master plan contains both private residential towers and residential-friendly retail amenities such as a boutique hotel, 6,800-square-foot health club and spa, and multiple dining venues intermingled with additional residential towers along Las Vegas Boulevard.